Ameris Bancorp (ABCB): Hedge Funds Are Bearish and Insiders Are Bullish, What Should You Do? 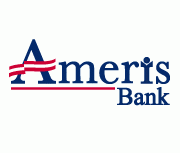 Ameris Bancorp (NASDAQ:ABCB) was in 6 hedge funds’ portfolio at the end of December. ABCB has seen a decrease in support from the world’s most elite money managers of late. There were 6 hedge funds in our database with ABCB holdings at the end of the previous quarter. In the 21st century investor’s toolkit, there are dozens of methods shareholders can use to monitor Mr. Market. A couple of the best are hedge fund and insider trading movement. At Insider Monkey, our research analyses have shown that, historically, those who follow the best picks of the best investment managers can beat the S&P 500 by a significant amount (see just how much). Just as integral, optimistic insider trading activity is a second way to parse down the world of equities. Just as you’d expect, there are a variety of stimuli for a corporate insider to downsize shares of his or her company, but just one, very simple reason why they would buy. Many academic studies have demonstrated the impressive potential of this tactic if investors understand what to do (learn more here). Keeping this in mind, it’s important to take a look at the recent action regarding Ameris Bancorp (NASDAQ:ABCB). In preparation for this year, a total of 6 of the hedge funds we track were bullish in this stock, a change of 0% from the third quarter. With hedgies’ positions undergoing their usual ebb and flow, there exists a select group of noteworthy hedge fund managers who were increasing their holdings substantially. Of the funds we track, Polaris Capital Management, managed by Bernard Horn, holds the largest position in Ameris Bancorp (NASDAQ:ABCB). Polaris Capital Management has a $32.2 million position in the stock, comprising 2.3% of its 13F portfolio. On Polaris Capital Management’s heels is Bryn Mawr Capital, managed by Ken Gray and Steve Walsh, which held a $5.8 million position; 0.5% of its 13F portfolio is allocated to the company. Other hedgies that hold long positions include Roger Keith Long’s Otter Creek Management, D. E. Shaw’s D E Shaw and John Overdeck and David Siegel’s Two Sigma Advisors. Insider trading activity, especially when it’s bullish, is at its handiest when the primary stock in question has seen transactions within the past half-year. Over the latest six-month time frame, Ameris Bancorp (NASDAQ:ABCB) has experienced 1 unique insiders purchasing, and 1 insider sales (see the details of insider trades here). Let’s also examine hedge fund and insider activity in other stocks similar to Ameris Bancorp (NASDAQ:ABCB). These stocks are WSFS Financial Corporation (NASDAQ:WSFS), Financial Institutions, Inc. (NASDAQ:FISI), Stellarone Corp (NASDAQ:STEL), First Community Bancshares Inc (NASDAQ:FCBC), and Southside Bancshares, Inc. (NASDAQ:SBSI). This group of stocks are the members of the regional – mid-atlantic banks industry and their market caps match ABCB’s market cap. Hedge Funds Are Selling Southside Bancshares, Inc. (SBSI) Do Hedge Funds and Insiders Love Virginia Commerce Bancorp, Inc. (VCBI)? WSFS Financial Corporation (WSFS): What Do Hedge Funds Think?